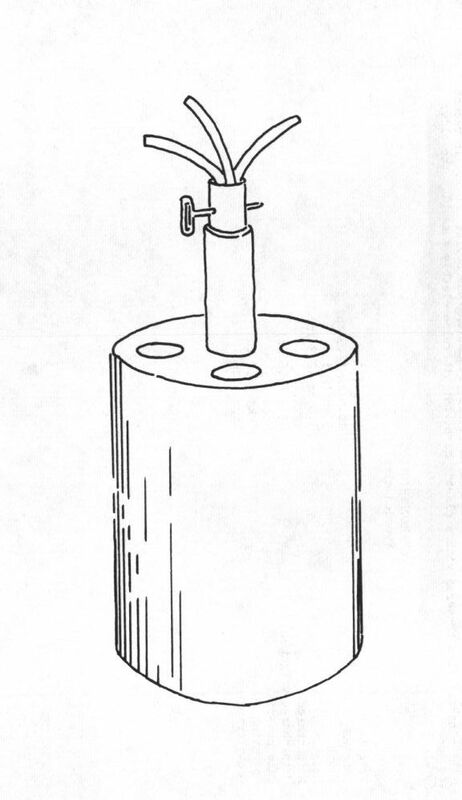 The K-2 plastic bounding antipersonnel mine was developed in East Germany about 1958 at the same time as the K-1 plastic anttank mine was also developed. The fuze, detonator, and other minor characteristics of the K-2 are similar to the bounding mines used by the Germans in World War II. On actuation, a propellant charge in the base of the mine causes the inside layer of steel balls and fragments to jump about 1.5m (4.9ft) into the air before the mine detonates. Length: 250mm , diameter: 100mm.